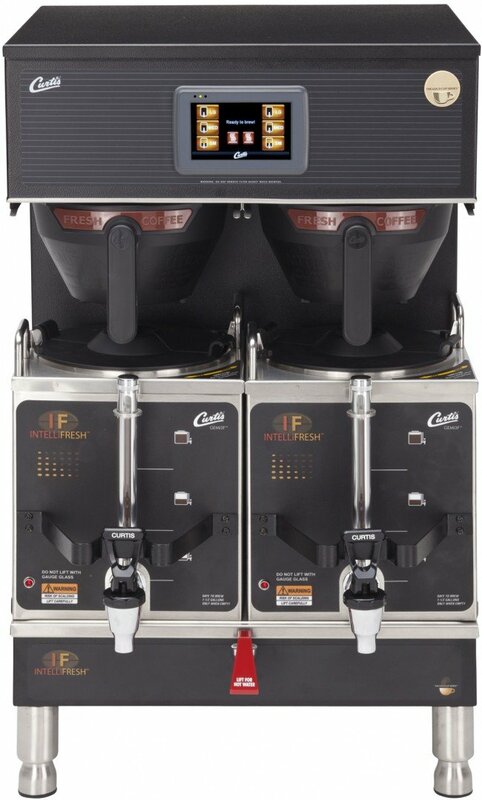 The Curtis G4 GEMT IF Twin Coffee Brewer shares the traditional Gemini zodiac traits of adaptability and versatility! Part of the Gold Cup Series, a 4.3 inch touch screen controls the mighty brewer. Easy set up for time, temperature, volume and gourmet coffee needs like pre-infusion, pulse brewing and water bypass. Twin satellite servers keep brewed coffee at the ready. A great time saver! But wait! That's not all you get! IntelliFresh technology allows the servers to be removed and transported wherever you need them, all the while integrated sensors keep an even warming heat going, no on-site electricity required.